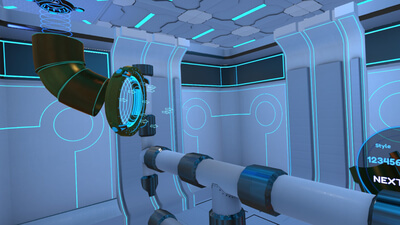 Bounce is a VR physics-based puzzle game for HTC Vive. Under the supervision of H8-Bit and 2Bit, two robots tasked with overseeing security of the intergalactic spaceship, players must help D1G-B, their spherical robot companion, traverse levels using an array of gadgets at their disposal to exit each level’s portal. 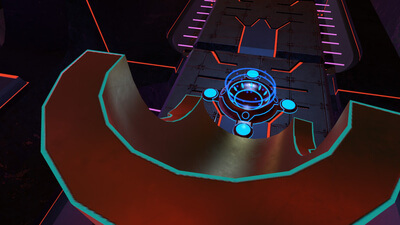 With moving obstacles, laser gates, gravity wells, and multi-floor levels obstructing the path of D1G-B, players will have to use their creativity to construct solutions. While the game concept and interaction methods are simple, Bounce has some heft to it. Fifty discrete levels that can be solved in ridiculous ways gives it quite a bit of staying power. The only limit is how over the top the player wants to be with the tools on hand. 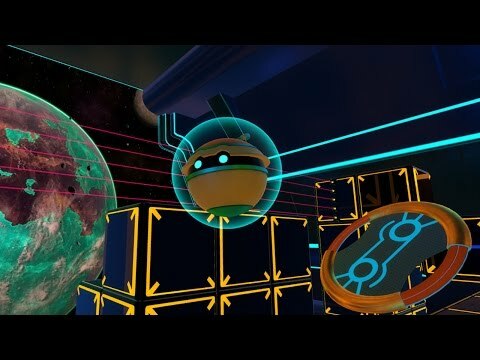 Anyone looking for a solid puzzler in VR will have a great time with Bounce.